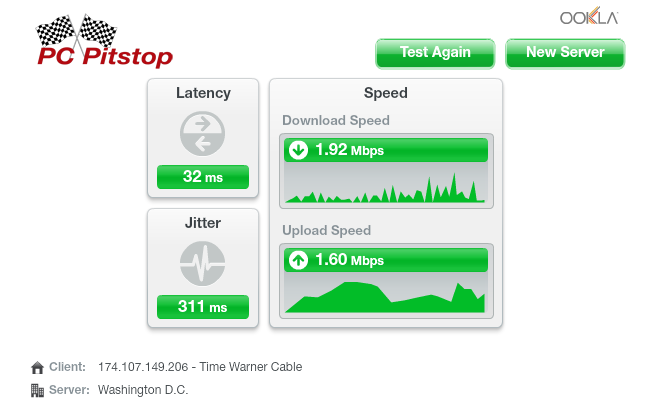 This happens 2-3 times per week with Time Warner. It slows down to a crawl and then if you cycle power on the modem then it goes back to a normal speed. 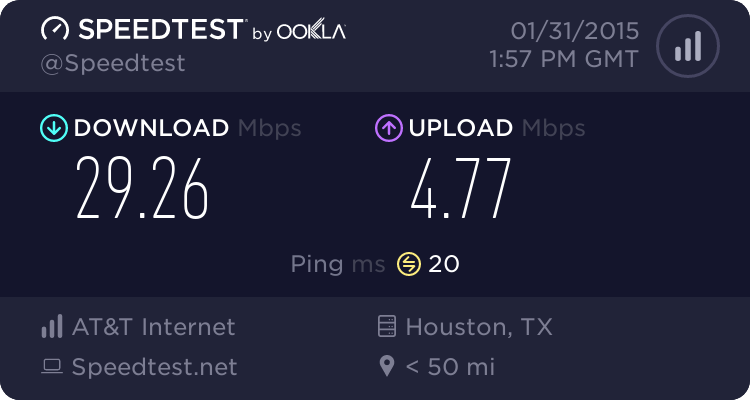 I pay an extra $10 / month for extra speed. HAHA. 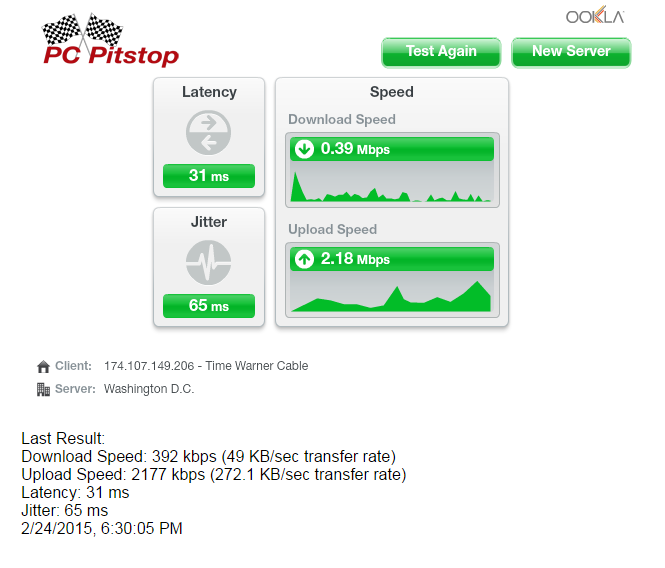 My FiOS is steady @85up 85dn,day in and out. Well I can't match the 85 Mb... 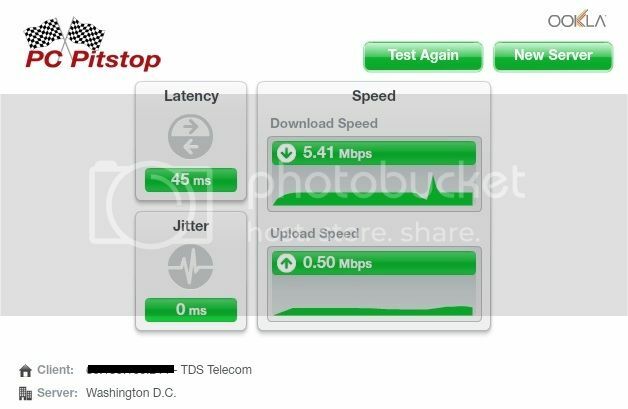 However; our U-verse is stable, and our 45 Mb package peaks at 47.71 Mb DL and 5.78 Mb UL. 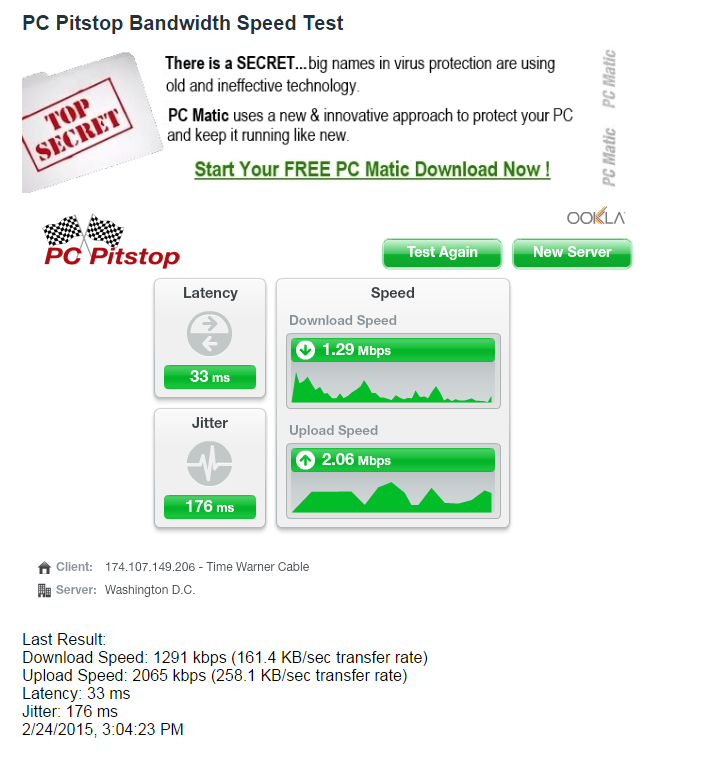 I find it odd that the link I provided to share the SpeedTest.net image reflects a higher speed than what I tested... Quoting Spock, "Fascinating." Well I can't match the 85 Mb... 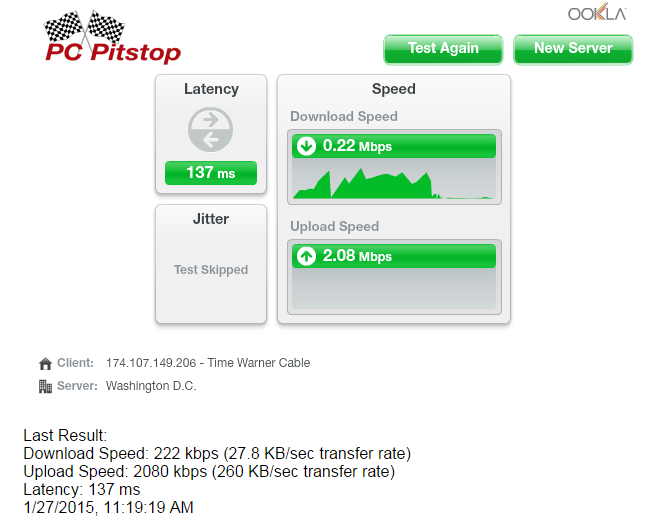 However; our U-verse is stable, and our 45 Mb package peaks at 47.71 Mb DL and 5.78 Mb UL. 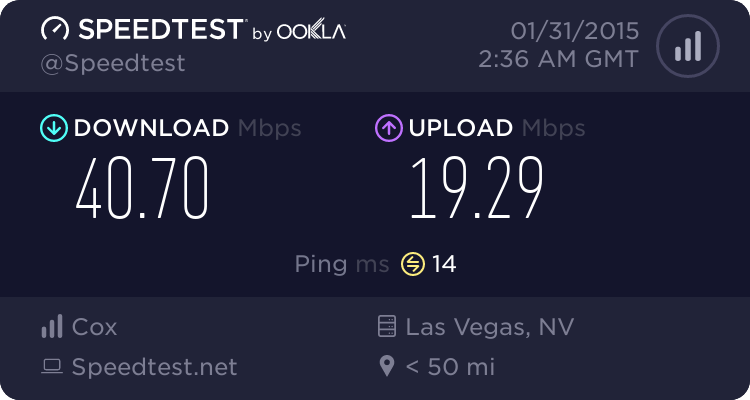 http://www.speedtest.net/result/4100421462.png [EDIT:] I find it odd that the link I provided to share the SpeedTest.net image reflects a higher speed than what I tested... Quoting Spock, "Fascinating." 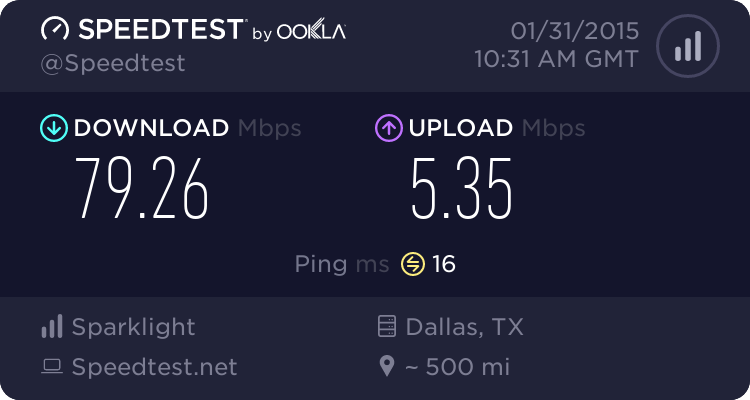 We used to get AT&T DSL here, but it was $50/month and they promised 15Mb down and 1.5Mb up but we were lucky to ever see 1.5Mb down and maybe 12Kb up. 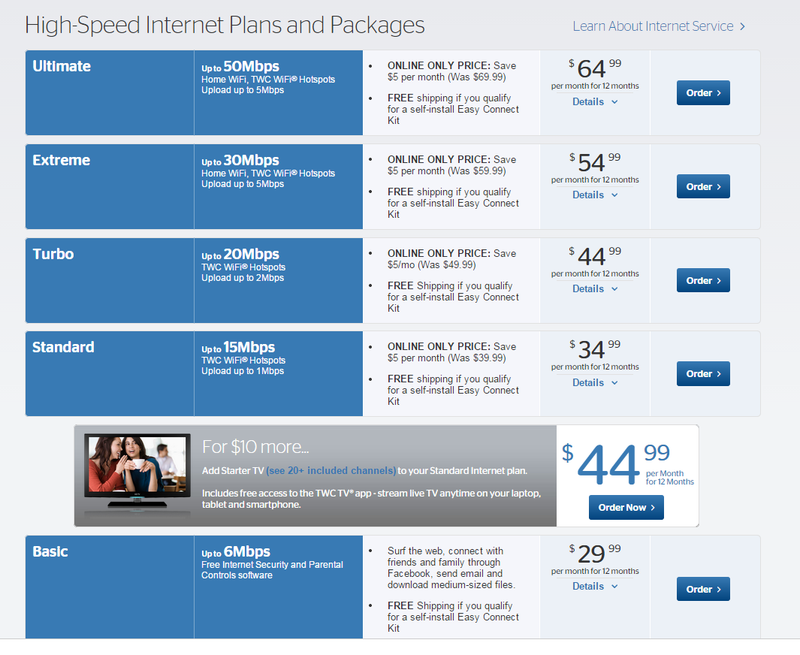 Switched to Comcast and get 30Mb down and 15Mb up now for only $30/month. Any time we have an outage that lasts longer than they promise on fix time gets us a 1 month free of the turbo boost thing that puts it up to 50Mb down and 25Mb up. This one is rather low, either because this laptop is sitting at 100% CPU usage again or someone is using up lots of bandwidth agian to download stuff they shouldn't be. Probably time to look into things. 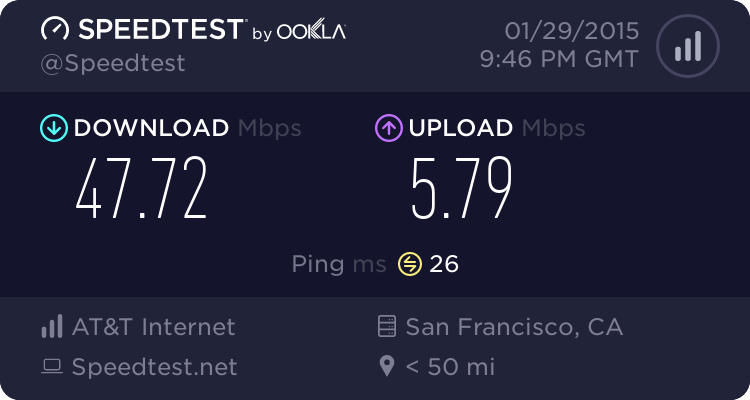 I am paying $50 / month and supposedly getting 30 mB/s. The problem is that they tell you a speed and they don't tell you how often you get that speed. On top of that, they don't tell you the minimum value which in my case is only a fraction of what they tell you you get. Incidentally 10Mb/s costs me $50/mo. It is unsatisfactory, Time Warner has a monopoly in my neighborhood and the only hope was Comcast entering our area but that will never happen if Time Warner and Comcast merge. I don't think it will ever get better. Very bad, the graph shows many up and downs. Maybe the integrity of the cable going to your house has been compromised. Looks like I get almost exactly what I pay for. 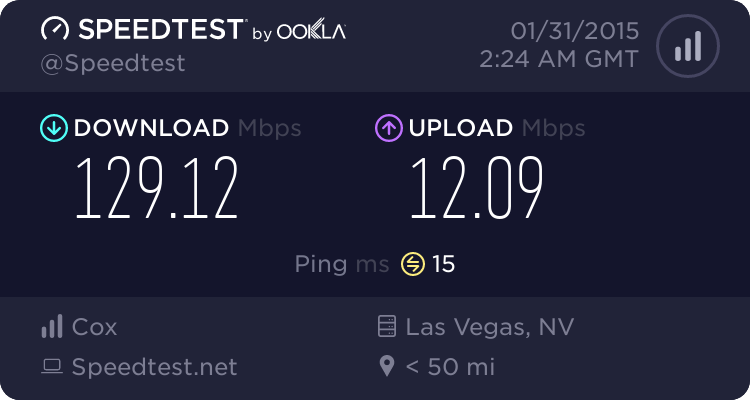 My speeds are the same on a wireless device. 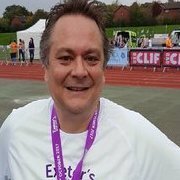 It is really slow right now and I thought it was my worst but it is slightly better.